Designing a new home or renovating a lived-in abode is a labour of love – one that is fuelled by a desire of giving the space a distinct character and a vibe that matches your own. While you sort through multiple materials, themes, wall art and decor pieces, you must also focus equally on the flooring design options available. 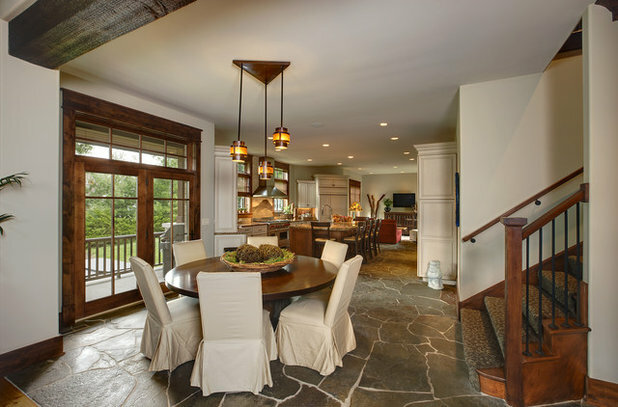 Don’t settle for the conventional stones, tiles and hardwoods that are usually the standard choices. 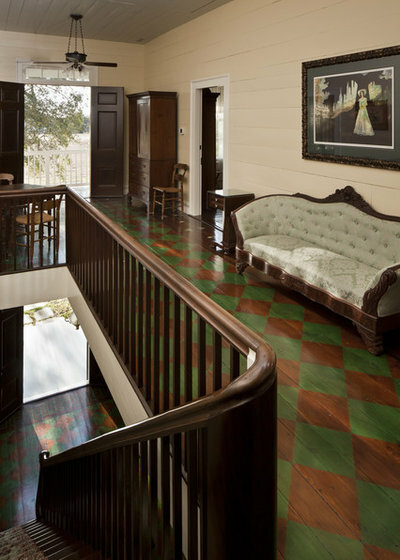 Without further ado, let’s take you through a journey of 10 elegant floors that can be alternatives to the standard and the staid. Small pieces of coloured stones (known as tesserae) can be put together to form beautiful pattern to achieve a dramatic effect. These pieces have a marked sheen, not too different from the mother of pearl. The finished flooring work is a delight. 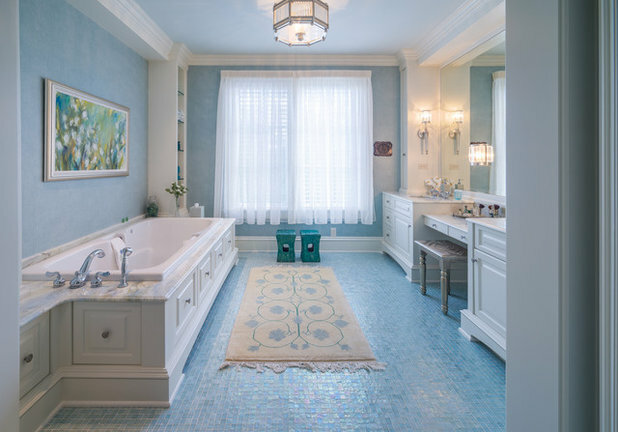 Though you can create marvellous and rather intricate designs with mosaic, this picture with simple cool blue mosaic flooring aptly illustrates the strength of this multifaceted material. Notice how everything else is kept muted while the refreshingly serene flooring is allowed to do all the talking. 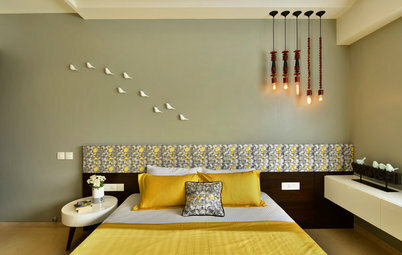 Matching colour scheme with the walls lend an expansive feel to the bathroom. When it comes to mosaic, the choice is literally endless. Who doesn’t love the touch of raw earth caressing their feet? 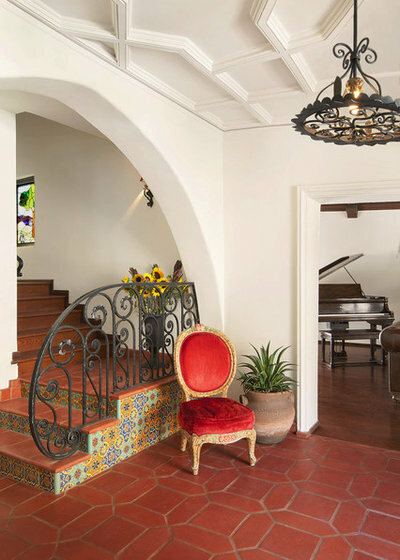 When one returns home after a long day of tussling with the world, a greeting extended by an entry passageway paved with rustic, country-style bricks is soothing to the tired soul. For the ones who dream of owning a cottage in the countryside, this is an ideal way of bringing a piece of the uncomplicated life into their space. Exposed brick flooring works wonderfully in the living and dining areas as well as in the kitchen. 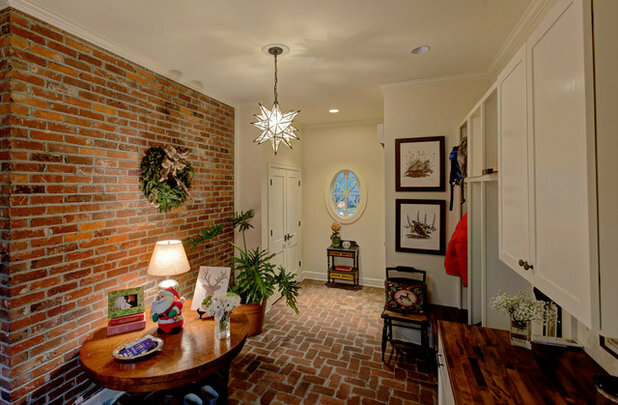 A complementing exposed brick feature wall (as shown in the space) further accentuates the appeal of the floor. Don’t hesitate to dress up your room with this floor, for it takes as graciously to a tony aesthetic as it does to a humbler setting. 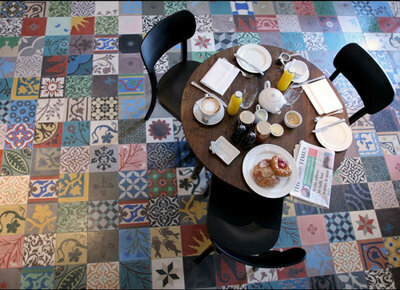 There’s something cheerfully unassuming about this bohemian and artful floor. 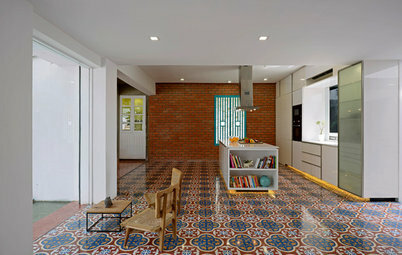 Because of its inherent busy design, patchwork tile flooring usually becomes the centre of attraction in any space. Inspired by the Spanish/Moroccan cultural aesthetic, the tiles used in patchwork designs feature bold floral and geometric patterns in warm colours of deep orange, mustard and brick with a generous helping of cool greys and blues. The sheer number of combinations that can be created is fascinating. 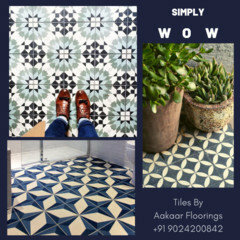 Patchwork floors can look gorgeously inviting in open or closed courtyards/ verandahs, intimate bedrooms and sun-lit bathrooms. Stark, dark and bold – you would love this if you find splendour in the rugged. 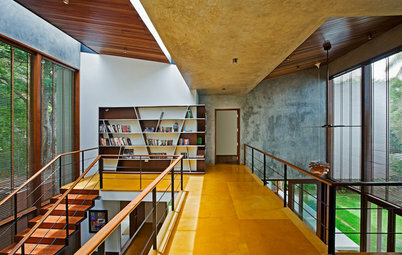 But sure enough, concrete floors are usually polished with glossy sealers that give it a rather slick look. This is one of the most, if not the most, economical flooring options, with the lowest material, finishing, labour and time costs involved. Not to mention, concrete flooring is immensely long lasting and can endure the worst of treatments. Indeed one of its endearing characteristics is akin to the Japanese view of aesthetics known as wabi-sabi, that stands for ‘beauty in imperfection’. The cracks and crevices that form over time yield a transient grace on this floor. 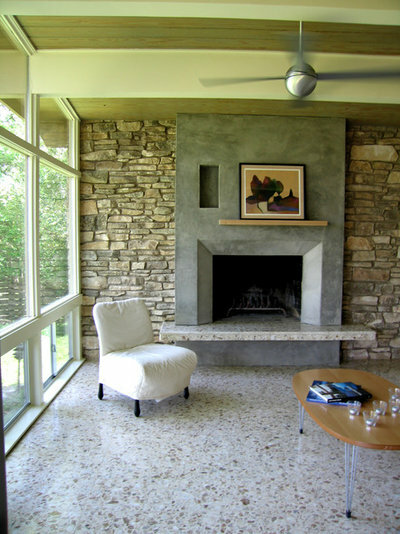 Concrete floors are a great choice for any room and also compliment all kinds of decor themes. 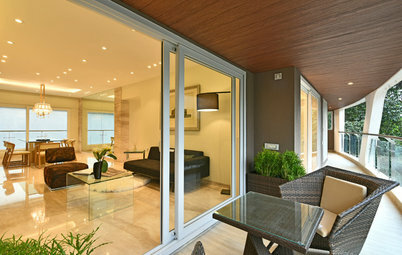 Glass is one of the most versatile and one of the most visually stunning materials. From the great Louvre in Paris to the iconic Apple stores, glass has consistently found favour with the most gifted of architects. But beyond its use in creating seamless building structures, expansive walls and bright skylights, glass also makes for crafting mystically beautiful flooring. I agree it is a bit risky, but if done right, you can have a truly unique space. Even though there are different varieties of glass that one can pick from, there is something instinctively captivating about clear glass enveloping an under-bed housing creations of sand/ wood/pebbles and/or artificial plants. Although glass floors look especially resplendent in balconies, bathrooms and walkways, you can choose to install them in bedrooms and dining areas if you have a taste for drama. Tip: Use hidden lighting and colours on the under-bed or sidewalls to fashion gorgeous effects. 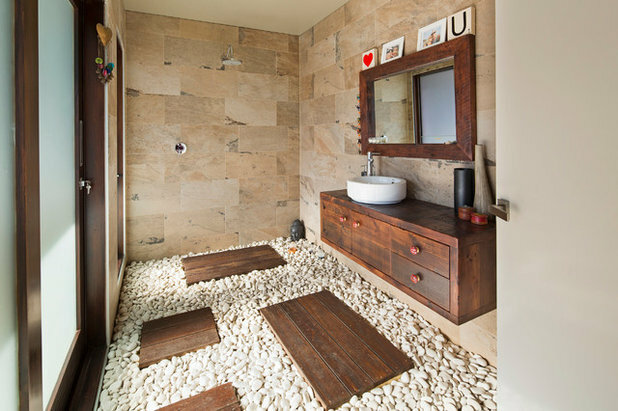 Reminiscent of the sedating calmness of flowing water, river rock pebbles are a classic flooring option for areas, such as bathrooms, balconies and terraces. Since they are smooth and flat surfaced, it’s easy to construct a sturdy pathway of stone slabs or thick wooden panels on top of the stone bed. From pristine white to soft grey, brown and black – these stones embody some of the most gorgeous colours in nature. This flooring is a little high on maintenance compared to other materials but the effect these pebbles have on your nerves makes it worth it and then some. You may need to apply a sealant on water exposed areas of the floor, about every six months, to keep the pebbles looking shiny and bacteria free. These could be hazardous to little ones in the house so do keep that in mind before making your decision. 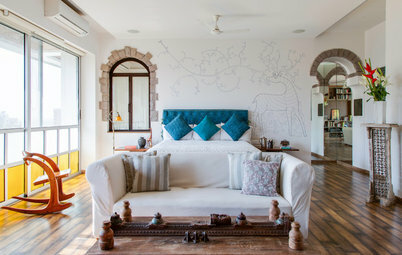 It is easy to understand the reservation one might have with painted floors. We can imagine the long term upkeep that is required of any painted surface. Plus, our houses get mopped everyday. So what about the wear and tear and the fading? Humour this thought for a second – you don’t have to repaint faded flooring. Blasphemy, you say? We suggest worn out art. 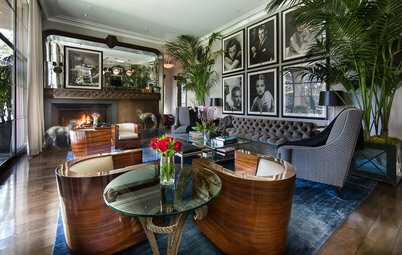 The vintage, distressed and lived-in look isn’t only stylish on jeans, it also makes one feel comfortably home. Having said that, you may choose to retain this floor for areas that have minimum foot traffic, such as a bedroom or a study. Unpolished hardwood panelling as well as finished or unfinished concrete surfaces can be suitable canvases. A great accompanying advantage is that you can conveniently and swiftly give your room a major makeover simply by repainting the flooring differently. The range of designs and colours at your disposal is limitless. This is crafted from natural stone that is unevenly broken and pieced together like a puzzle on the floor. The non-uniformity of the design and visibly indented lines that run between stone slabs infuse strong character in the interior’s styling. Notice how no pains have been taken to form any line, make them meet, hide cracks or construct perfect right angles! This very irregularity is the most alluring hallmark of the flooring. 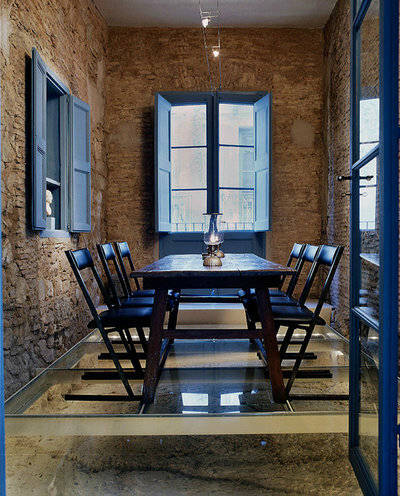 Although the widely preferred stone of choice for this flooring option tends to be slate, one could definitely work with any other solid natural stone, and even play by reversing the colours between dark stone slabs and the light cemented curvatures. Broken stone floors look most enchanting in long, open spaces that bring out the beauty of their wild lines, thus making them ideal for hallways, stairwells and larger rooms. This bewitching cocktail that is made from marble, granite, quartz and other stone chips has been around since the Neolithic age and was reinvented for the modern age in 15th Century Venice. One of the most versatile and adaptable flooring material, it’s a favourite with many interior designers. Using various combinations and concentration of materials, you can create differently hued mixes. Non-stone materials like mother of pearl and broken glass can imbue a glittering illusion in the flooring. Consult with your designer to give shape to the vision in your mind. Terrazzo floors are a common sighting in old European buildings, and they have stood the test of time. With constant modern improvements, terrazzo holds the advantage of being one of the most durable and sustainable flooring materials around even today. What could be more quintessentially Indian than terracotta? These kiln-baked ceramic tiles are deep red or brown in colour and are equally suitable for both indoor and outdoor floors. They are strong, long-lasting and possess an innate coziness. They are also especially great for colder climates as they retain heat and are comfortable to walk on, with bare feet. 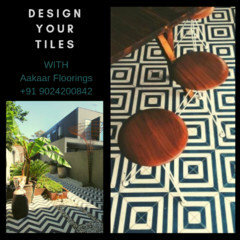 If you’re designing a snug reading den, roofed porch or terrace garden, do consider this beautifully earthen flooring option. 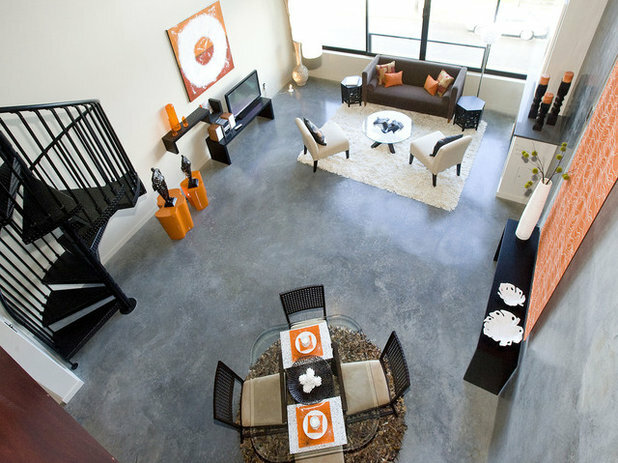 Because of its natural element, terracotta is an ideal choice to fashion balmy, inviting spaces. Terracotta tiles come in different shapes, textures and sizes – each one unique in itself. As they are highly porous, make sure to treat them with a sealant every once in a while to protect them from stains and moisture. Which floor did you like best? 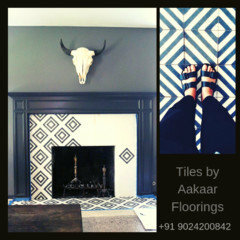 What other flooring options would you recommend for an Indian home? Write in Comments below. 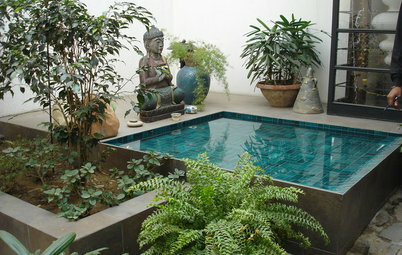 We also deals in handmade moroccan cement tiles and you have the option to customise design, size, colours of the tile.